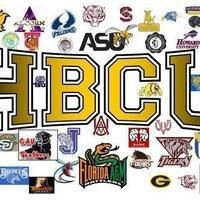 Interested in learning more about Historically Black Colleges & Universities (HBCUs)? Participate in our weekly HBCU Scavenger Hunt. Look for signage throughout the campus and gather information on the different HBCUs that will be featured. The HBCU Scavenger hunt will begin Monday, February 11th and one winner will be selected each week (three total) through February 28th. Scavenger hunt forms available in the Transfer Center and Student Life offices. Winners may receive a mini HBCU swag bag along with Tri-C goodies.